One of the best things about scuba diving is the amazing animals you encounter. Nearly every diver has a bucket list of underwater critters they hope to meet one day. Every list is different, but a few creatures appear on nearly every diver’s list. What follows is a list of the most popular bucket list animals that can be found at least somewhat reliably. There are plenty of diver favorites that don’t appear here; some divers would love to dive with great white sharks, others… not so much. So we made this list based on animals most divers want to see (if they haven’t already). Massive and elusive, the whale shark tops many divers’ bucket lists. If you are open to a snorkel-only experience (shared with many many other people), Holbox, Mexico is a nearly-guaranteed place to see whale sharks at certain times of year. For scuba diving with whale sharks, The Galapagos, The Philippines, The Maldives and Mozambique offer some of the best opportunities. Each location has a whale shark season, so time your vacation accordingly. Also, be sure to research the operator before you book. In some areas, the whale sharks are captive, not wild. 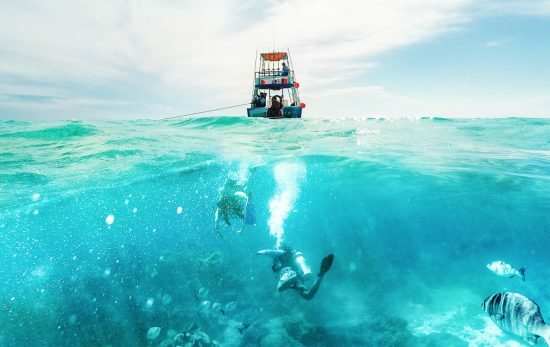 Scuba divers aren’t the only ones enchanted by manta rays; scuba diving with giant mantas is on the original list of Things to Do Before You Die. These graceful creatures can reliably be found in Hawai’i (home of the famous night dive in Kona), in addition to The Philippines, The Maldives, Indonesia, The Galapagos and Socorro (Mexico). The world’s oceans are home to more than seven different species of sea turtles and they can be found in most tropical diving areas. Unfortunately, most sea turtles are endangered due to human behaviors such as poaching, habitat destruction, fishing and plastic pollution. 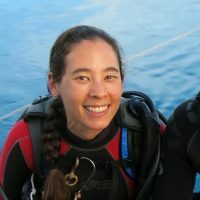 The best places to scuba dive with sea turtles are the places where they are protected including: The Great Barrier Reef, The Galapagos, Hawai’i, Riviera Maya and much of Central America, Apo Island (Philippines), Ras Mohammed Egypt, Sipadan (Malaysia) and other locations with marine protected areas. In addition to supporting turtles by visiting places that protect them, encourage friends and family to say no to single use plastics. Sign and share the Project AWARE® pledge. Dolphins are some of the smartest animals on earth. Maybe that’s why you’ll commonly find them in tropical and temperate oceans. Many divers have enjoyed spotting dolphins from the deck of a liveaboard or on the way out to a dive site. Finding dolphins to dive with is a bit more rare. 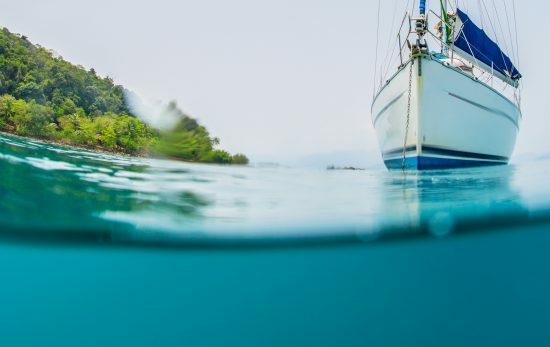 The Galapagos, Bahamas, Socorro and the Sea of Cortez, Raja Ampat (Indonesia), Sataya Reef & Samadai Reef (Egypt), Ningaloo Reef (Australia), Kaikoura (New Zealand), Hawai’i, and The Sardine Run in South Africa offer some of the better opportunities. Learn more about the best places to scuba dive with dolphins, or read 10 fascinating dolphin facts. Their graceful movements, massive size and haunting songs are just a few reasons to add the humpback whale to your scuba bucket list. Thanks to worldwide conservation efforts, the humpback whale population is gradually recovering after nearly being hunted to extinction. 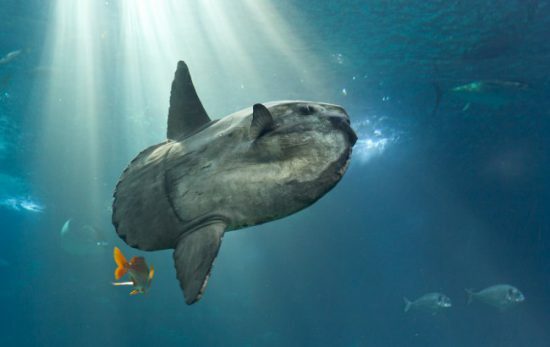 As a diver, you can show your support for this incredible animal by taking part in eco-tourism such as signing up for a humpback whale snorkel experience in Tonga or in the Dominican Republic. Chance encounters are also possible in Hawai’i from approximately December to February each year. The adorable pufferfish is found in most tropical and subtropical diving locations around the world. There are even pufferfish that live in brackish and freshwater. Always remember to be kind to the puffers and don’t do anything that will cause them to puff up. If you’re not aware of the amazing Mantis Shrimp, you need to read this. This bizarre-looking, colorful creature can be commonly found scurrying around reefs in The Coral Sea, Indian Ocean and in eastern Africa. Many a diver has risen before dawn for the chance to glimpse a hammerhead. The best chance to see a school of shy, scalloped hammerheads is often first thing in the morning. Great hammerheads are somewhat easier to spot, and one of the best places to see them up close (very, very close) is Bimini, Bahamas, Cocos Island, The Galapagos, Yonaguni (Japan), North Ari Atoll (Maldives), Socorro, Malaysia, Malpelo Island (Colombia), Zavora, Mozambique, South Africa and Rangiroa are other great places to seasonally dive with hammerheads. The mesmerizing cuttlefish is commonly found in the Indo-Pacific in addition to parts of Africa and Europe. They can move up, down and sideways and change color and texture – despite being colorblind. One of the best places to see cuttlefish is Whyalla in South Australia. Each year, thousands gather to mate and reproduce. This other-worldly looking leafy and weedy sea dragons call Australia home. 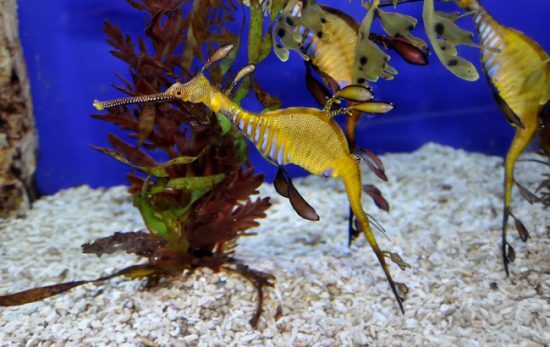 The leafy sea dragon is exclusively found along the southern and western coasts and the more common weedy sea dragon can be found near Sydney, Melbourne and Tasmania. Ready to check some animals off your scuba diving bucket list? Contact a PADI® Dive Center or Resort or PADI Travel™ to book your next scuba diving holiday. Let us know what animals we didn’t mention that are on your scuba bucket list. For inspiration, check out the world’s best big animal dives and the top underwater creatures to see before they disappear.